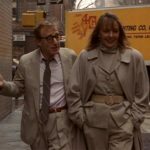 After his longest run (yet) of intense dramas, Allen returns to something that is brightly comedic with Manhattan Murder Mystery. It’s a much needed breath of fresh air, coming from all the tabloid dramas that surrounded Husbands And Wives (1992). 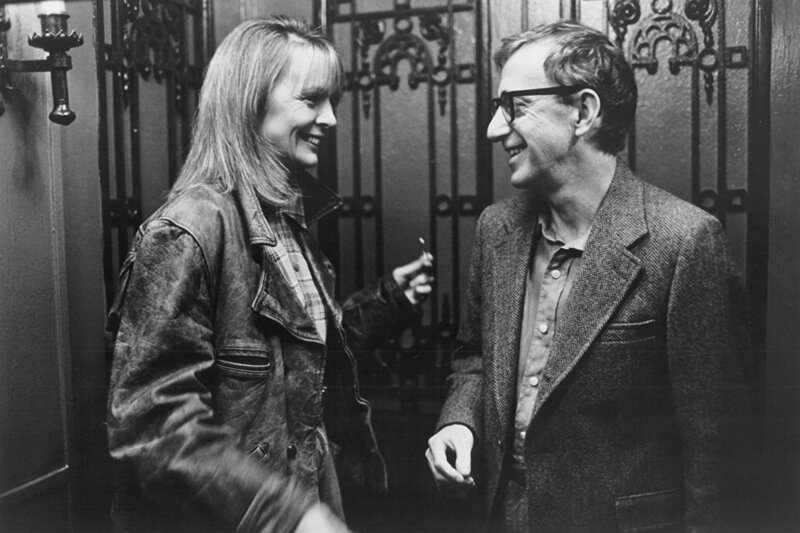 And in a crowd pleasing move, it reunited Allen with Diane Keaton for the first time since Radio Days (1987). 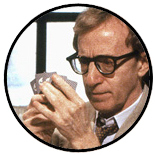 Woody Allen stars as Larry Lipton. 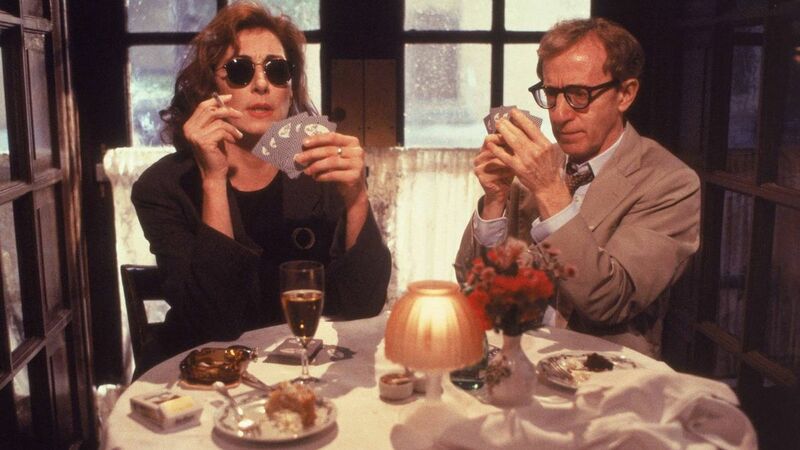 Keaton plays Carol, his wife, and they live in an apartment building, across from an elderly couple. One night, the elderly woman dies from a heart attack, and nothing seems strange. But Carol starts to suspect something – and she can’t let it go despite the doubt from her friends and husband. 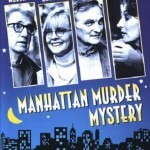 Manhattan Murder Mystery has one of the stranger paths towards to the big screen, even for Allen. 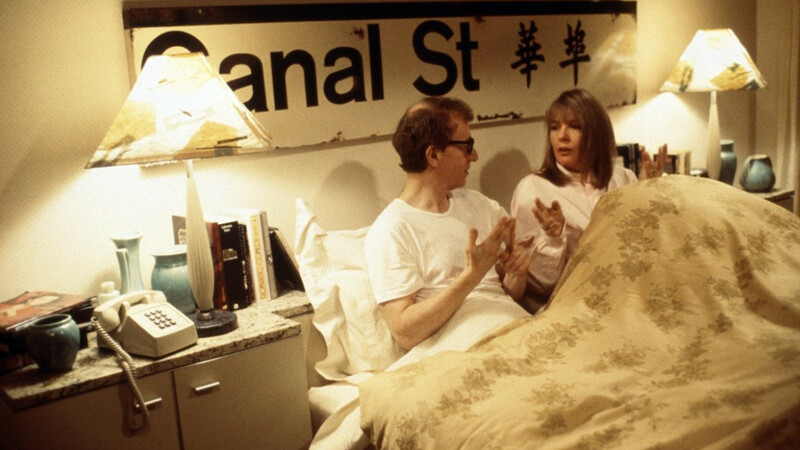 It started life as a script in the 70s, and was part of the film that became Annie Hall (1977). 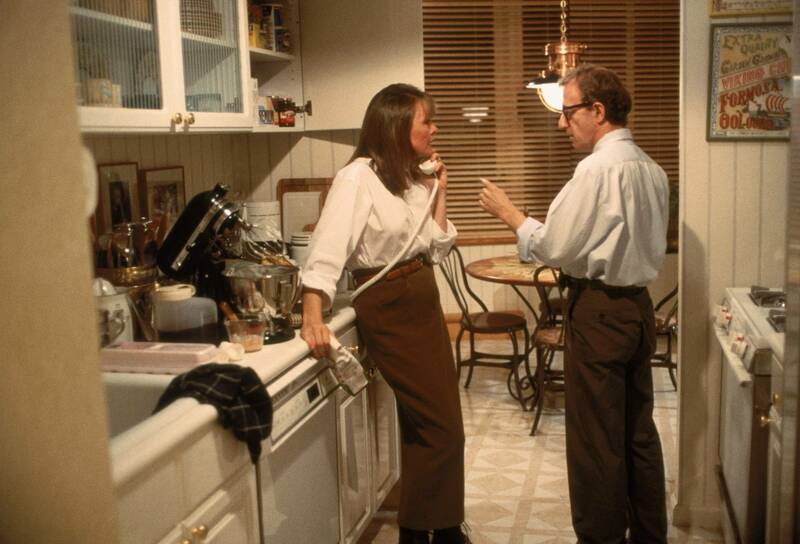 Initially a murder mystery, Annie Hall was mainly rewritten around Diane Keaton’s character. 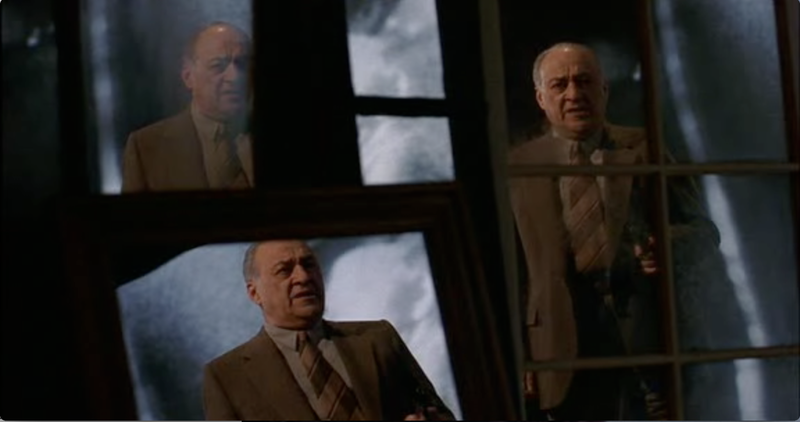 But that initial murder mystery remained a cinematic idea in Allen's mind. 16 years later, he decided to return to it. 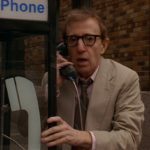 The core idea for the murder next door came from Allen. In his stand up days, he had gone on tour to return home to find the wife of the dearly couple next door had died. Her husband seemed to be fine about it, and that reaction stuck with Allen through the decades. 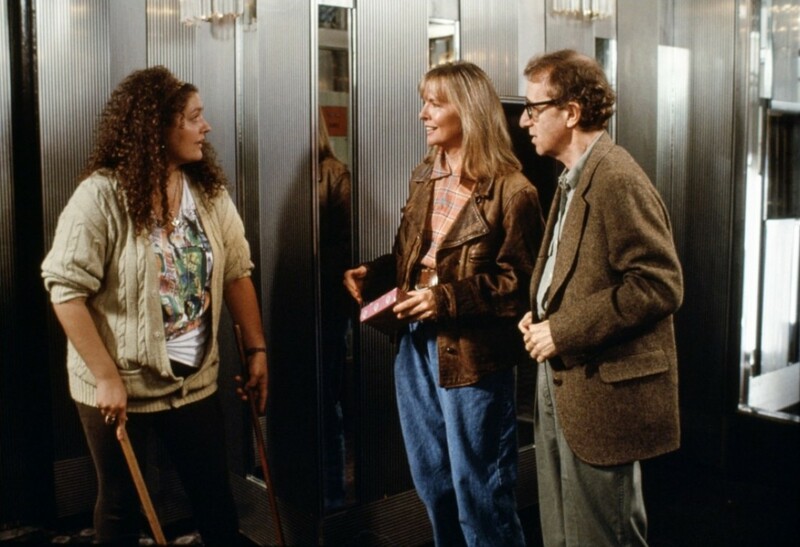 The original victim, back when it was part of what would be Annie Hall, was Dr Levy, an optimistic professor. His outlook would be what set our couple off into thinking an apparent suicide was not the case. 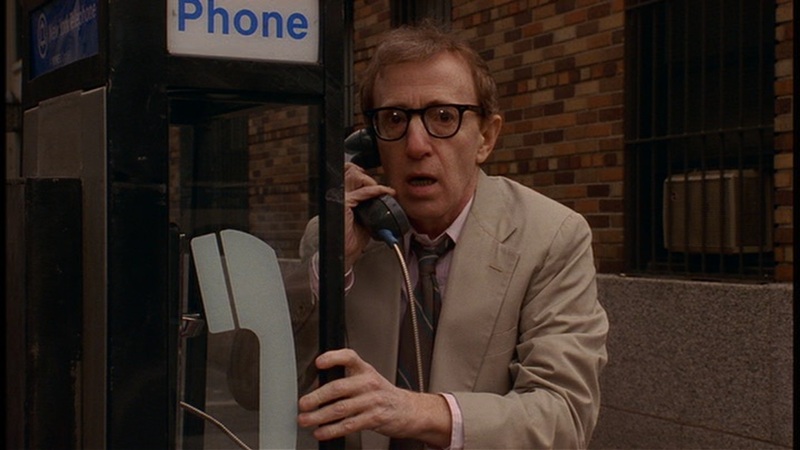 Allen ended up using the character of Levy for a deeper purpose is Crimes And Misdemeanors (1989). 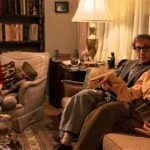 Allen has always been fascinated by cinematic murder and mystery and had, over the years, collected ideas for crime and murder in his drawer. 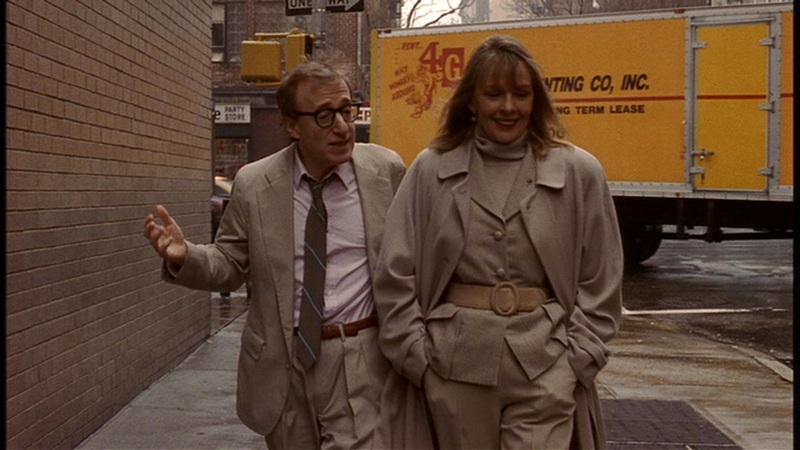 But here, Allen seemed to be aware he was making his version of the classic detective film. 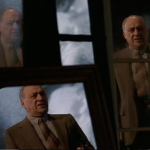 Throughout the film there are references to Alfred Hitchcock. The ending is a tribute to Orson Welles’ murder mystery The Lady From Shanghai (1947). The characters go see Double Indemnity (1944). And Allen has noted films like The Thin Man (1934) as inspirations. 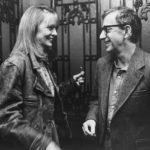 With Keaton on board, and the script's origins in Annie Hall, it’s easy to see this as some sort of sequel - or at least one version of what might have happened to those characters. Both play close to their established screen personas. 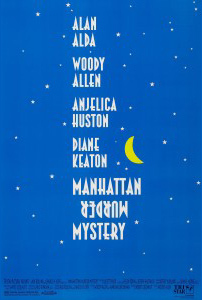 Allen, as the title suggests, shot the film exclusively in New York. 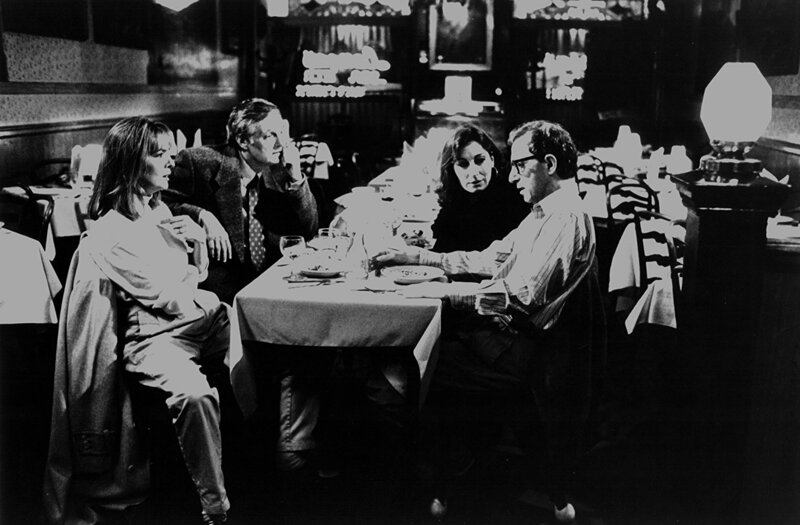 Production took place in 1992, with reshoots into early 1993. 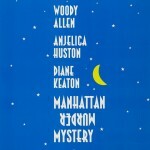 It is also back to Allen’s romantic view of New York, contrasting the stark realism of his last several New York films. There are fancy restaurants, gorgeous streets and many tourist sites. Two prominent aerial shots feature in the film show off New York. Both shot at night, we see Madison Square Garden sweep into view from Midtown (including Times Square). We also see the magnificent Brooklyn Bridge at night. The return to New York is also reflected in a key music choice. 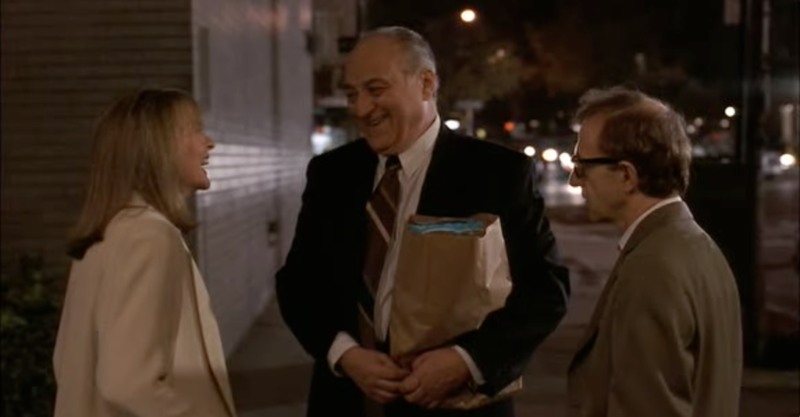 Under the credits, we hear I Happen To Like New York, written by Allen favourite Cole Porter, and performed by Bobby Short (who appeared in Hannah And Her Sisters, 1986). Otherwise, Allen leaned on his usual music habit of pre-recorded jazz cuts. 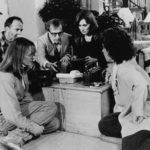 The film also features Sing, Sing, Sing (with A Swing) performed by Benny Goodman and His Orchestra, a track that Allen would use again several times. 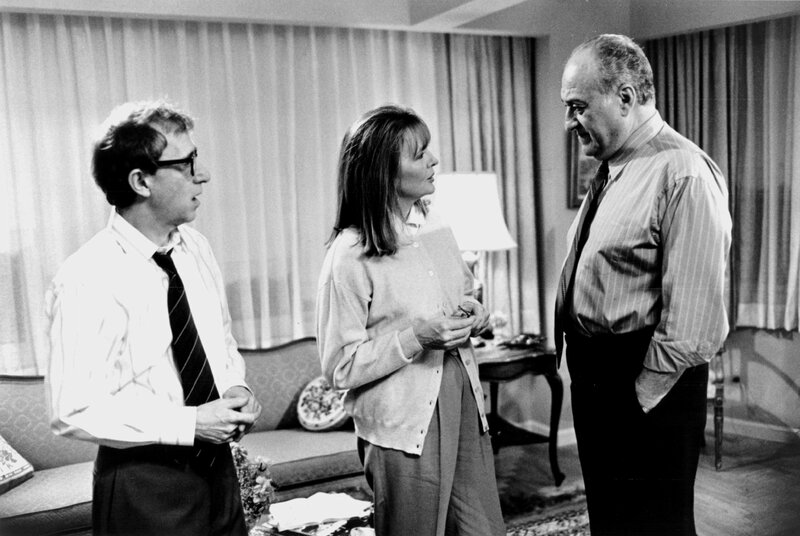 Although not as prominent, Allen and cinematographer Carlo Di Palma continues the style he started with Husbands And Wives (1992). 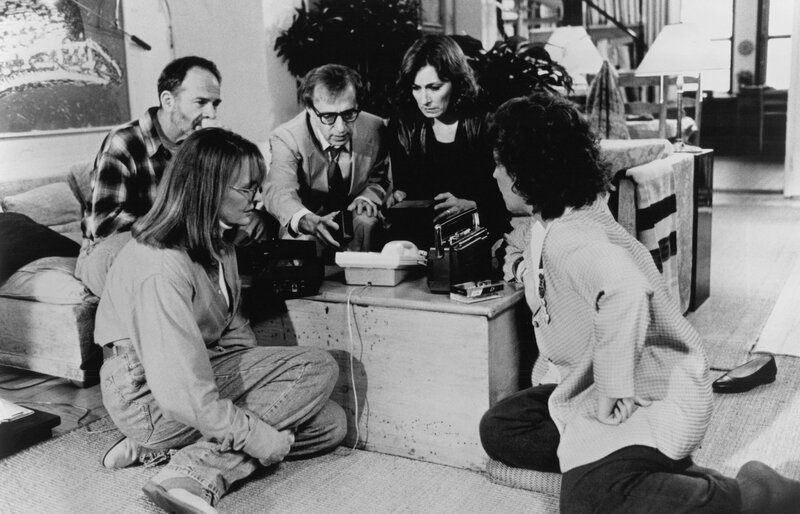 Long takes are the norm, with several scenes extending over 2 minutes. 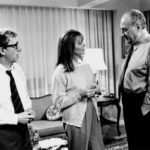 The only reported cut scenes was more time spent with Marcia Fox (Huston) and Larry (Allen). 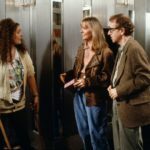 A scene was filmed where the two actually kissed, but the height difference was apparently so comical that it ruined the scene. Their storyline ended up being reduced. 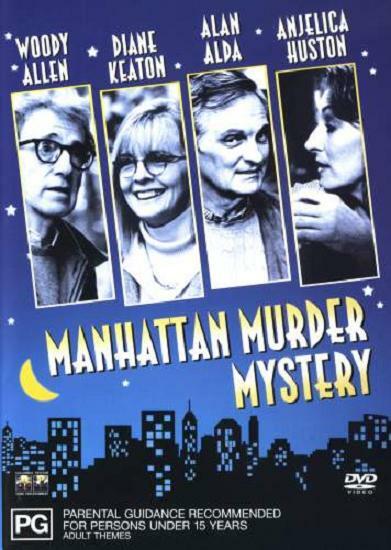 Manhattan Murder Mystery was the working title for the film, and it ended up being the finished title. Other titles considered included Dancing Shiva and The Couple Next Door. 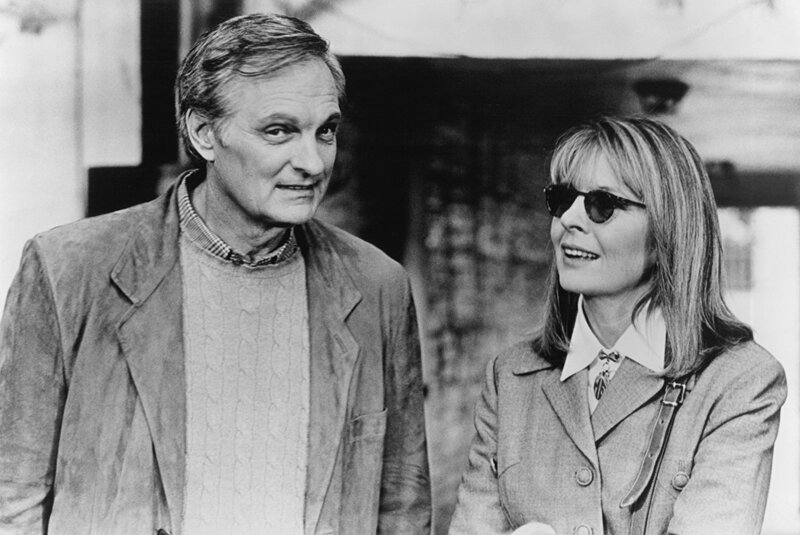 Alan Alda plays Ted. 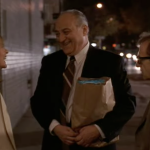 This is Alda's second appearance in an Allen film, last appearing in Crimes And Misdemeanors (1989). 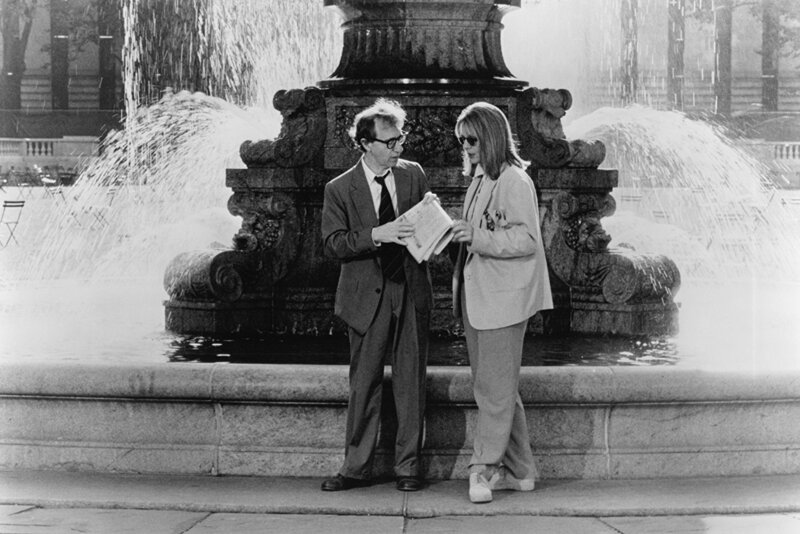 He would work with Allen once more, for Everyone Says I Love You (1996). 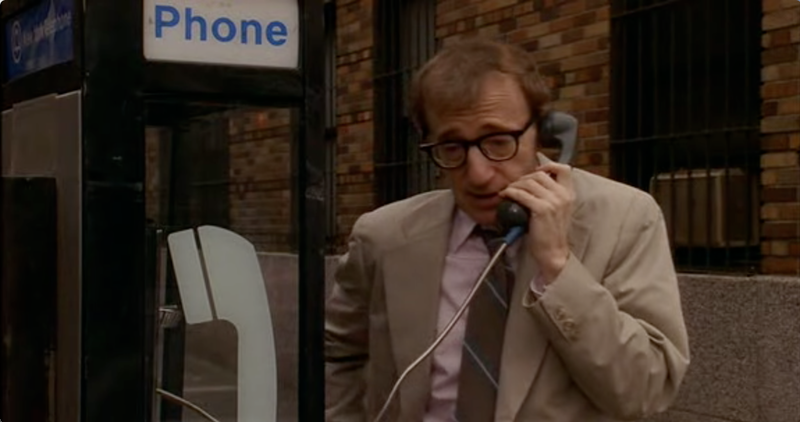 Woody Allen plays Larry Lipton. 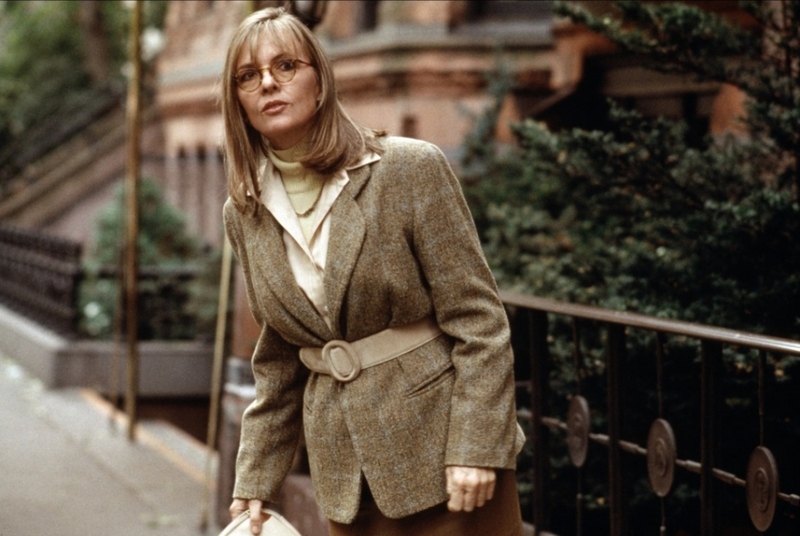 Anjelica Huston plays Marcia Fox. 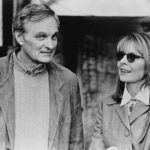 This is Huston's second time working with Allen, also having also appeared in Crimes And Misdemeanors (1989), although she had no scenes with Alda. 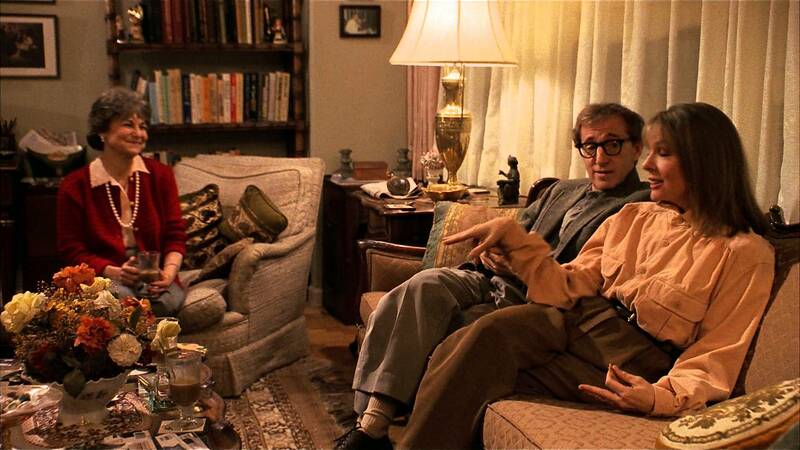 She would continue to be one of cinema's greats, in particular in several roles for Wes Anderson. 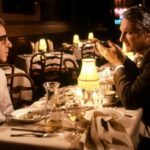 Both sides have been asked over the years if they would work together again. 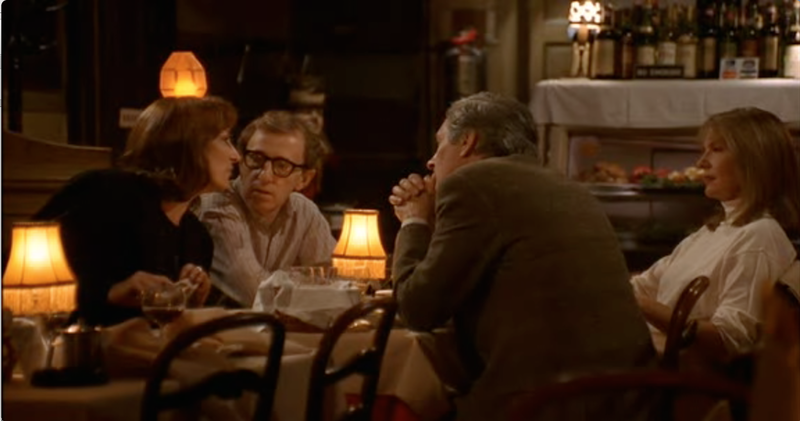 Allen says Keaton earns too much money making other films and can't afford to work for Allen's low pay scales. 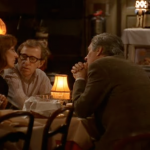 Keaton, for her part, laughs off Allen's comments and says he never asks. Although they are still spotted together every so often. 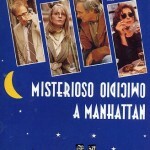 Carlo Di Palma returns as cinematographer. 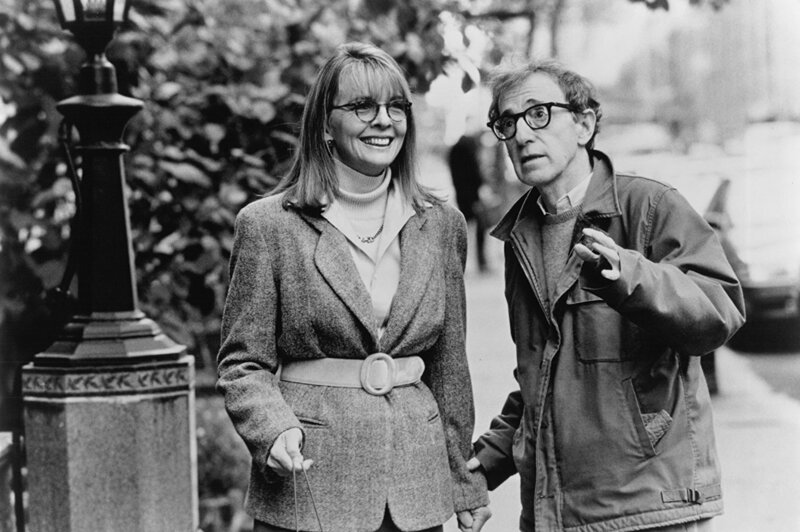 This was his 7th film with Allen, having last worked with Allen on Husbands And Wives (1992). 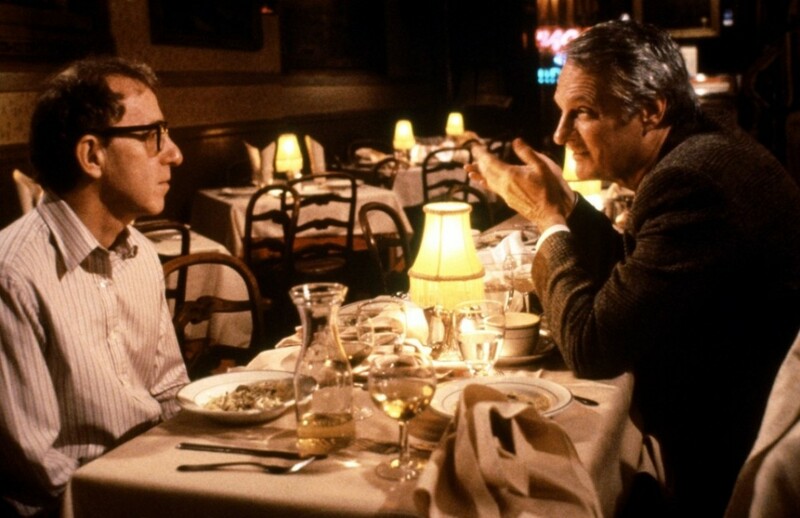 He would return for Bullets Over Broadway (1993). Santo Loquasto returns as production designer. This is the 11th time he's worked with Allen. 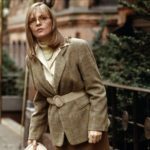 Jeffrey Kurland returns as costume designer. This is his 11th time in a row with Allen. Susan E Morse returns as editor. 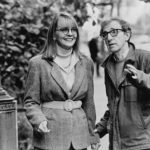 This is her 15th film with Allen as lead editor. Juliet Taylor is casting. 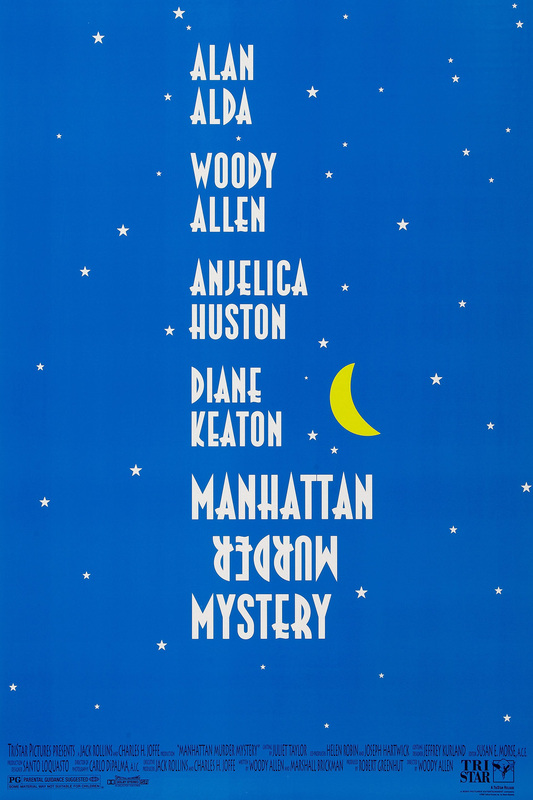 This is her 17th film with Woody Allen. 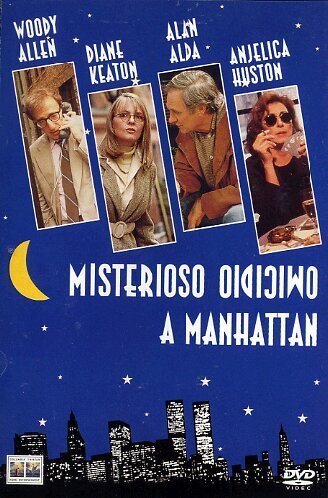 Manhattan Murder Mystery was released on 18th August 1993 in the US, distributed by Tri-Star Pictures. 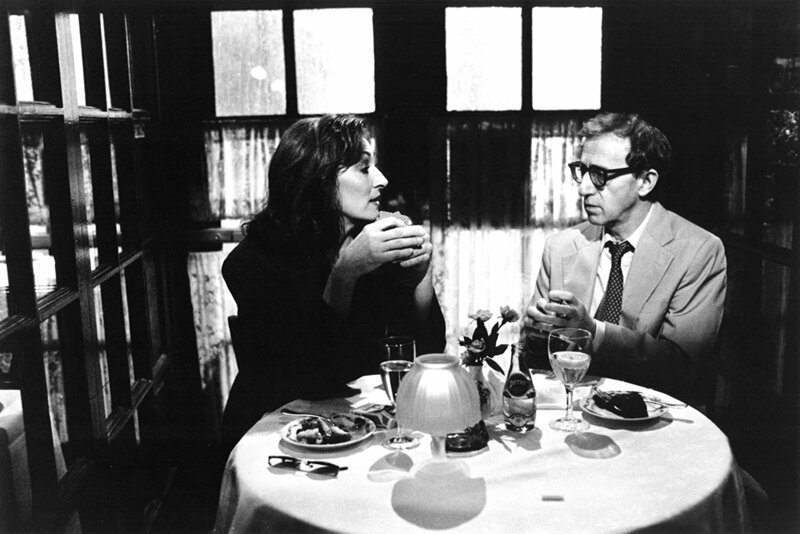 At the time, The Fugitive was enjoying it's second of six weeks at number 1 in the US box office. The film played at the 50th Venice Film Festival, which ran from 31st August til 11th September. 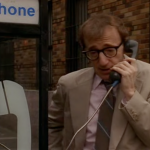 It was his second ever film to play there, following Zelig (1983). Allen, and none of he cast, attended. 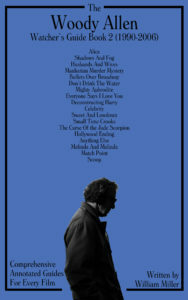 No soundtrack for the film was released. 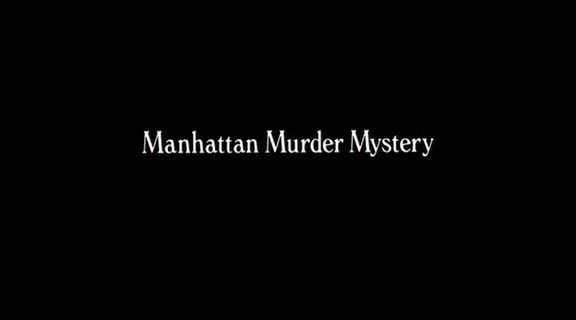 Manhattan Murder Mystery has earned $11,330,911 in the US. Fans of this film include Chloe Sevigny.